Window Grid And Roof Mount Diversity Antenna, Wheels: 17 Alloy, Wheels w/Machined Accents, Variable Intermittent Wipers w/Heated Wiper Park, Valet Function, Trunk/Hatch Auto-Latch, Trip Computer, Transmission: Electronic 8-Speed Automatic, Transmission w/Sequential Shift Control, Toyota Safety Sense P and Rear Cross-Traffic Alert (rcta). This Toyota Sienna has a dependable Regular Unleaded V-6 3.5 L/211 engine powering this Automatic transmission. 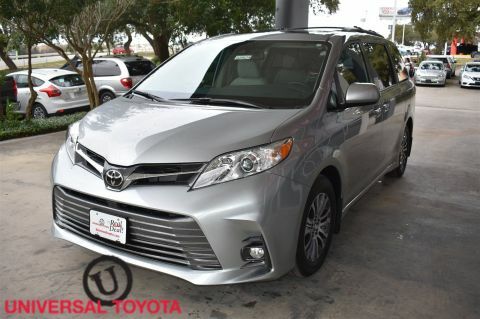 *This Toyota Sienna XLE Premium Has Everything You Want *Torsion Beam Rear Suspension w/Coil Springs, Tires: P235/60R17 AS, Tailgate/Rear Door Lock Included w/Power Door Locks, Strut Front Suspension w/Coil Springs, Streaming Audio, Steel Spare Wheel, Single Stainless Steel Exhaust, Side Impact Beams, Seats w/Leatherette Back Material, Roof Rack Rails Only, Removable 40-20-40 Folding Split-Bench Front Facing Manual Reclining Fold-Up Cushion Rear Seat w/Manual Fore/Aft, Remote Releases -Inc: Power Cargo Access and Mechanical Fuel, Remote Keyless Entry w/Integrated Key Transmitter, 2 Door Curb/Courtesy, Illuminated Entry, Illuminated Ignition Switch and Panic Button, Rear HVAC w/Separate Controls, Rear Cupholder, Rear Child Safety Locks, Real-Time Traffic Display, Radio: Entune 3.0 Audio Plus -inc: touch-screen display, navigation, Apple CarPlay, Amazon Alexa compatibility and 6 speakers, Radio w/Seek-Scan, In-Dash Mounted Single CD, MP3 Player, Clock, Speed Compensated Volume Control, Aux Audio Input Jack, Steering Wheel Controls, Radio Data System, Entune 3.0 External Memory Control and Internal Memory, Proximity Key For Doors And Push Button Start. 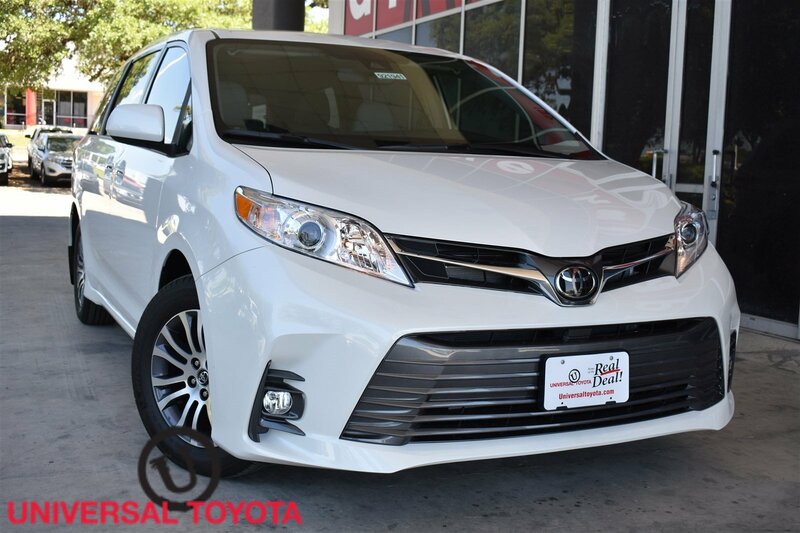 * Stop By Today *A short visit to Red McCombs Universal Toyota located at 12102 IH 35 North, San Antonio, TX 78233 can get you a trustworthy Sienna today!